All of our state and local elected officials are subject to term limits, right? All of them are elected from within their own districts, right? It wouldn’t make any sense for voters to choose elected officials who don’t represent them, would it? It doesn’t. And we fixed that for the San Diego City Council 30 years ago by requiring council members to be elected from within their own district. But there’s still one set of elected officials who can stay in office for life, and who get elected by voters they don’t actually represent: the San Diego Unified School District Board of Trustees. It’s not for lack of trying. 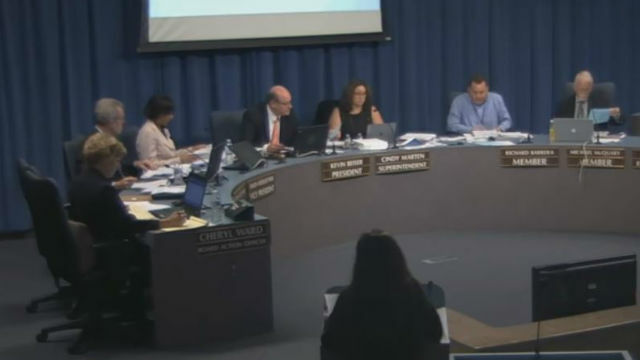 Last year, the City Council, which controls SDUSD elections, considered these changes but, showing their own lack of political courage, caved in to the status quo. Enter the Grand Jury, which decided to investigate. Unsurprisingly, they agreed, calling for term limits and sub-district elections to give better representation to the communities which provides stronger representation for the kids. Of course, SDUSD board members do not want to give up their grip on power. Instead of just recommending these changes, they created yet another committee to look into the issue and filled it with their handpicked appointees. That committee promptly set up a series of town halls to allegedly hear from their communities. Trying to confuse us, they added more questions like whether underage children and undocumented immigrants should be allowed to vote — questions that nobody had ever raised. Well, it didn’t work. The community recommended to the committee that a measure be placed on the ballot calling for term limits (80 percent in favor) and sub-district elections (60 percent in favor) just like we did for the City Council 30 years ago. The communities that they had ostensibly wanted to hear from spoke loud and clear, and overwhelmingly rejected the questions meant to distract us. So, what did the committee do? They ignored us. They recommended, by a 7-5 vote, a ballot measure that would include term limits with three four-year terms when the community overwhelmingly voted for two four-year terms to align with City Council. AND they recommended allowing 16-year-olds to vote, which the community rejected. Yes, they paired one of the most popular reforms with one of the least, hoping to kill the whole thing. One of the committee members called anybody who listened to the will of the people “parrots.” And they criticized the process, like people always do when they don’t like the result. But it was their process. The audacity and the cynicism of these committee members is breathtaking. We’re used to seeing this kind of naked power grab in the halls of Washington or maybe Sacramento. I thought San Diego was better than this. Particularly when it is only about the kids. But, hope is not lost, even if it’s flickering. The SDUSD Board still has to vote on these recommendations, though the committee now gave them cover to just ratify their vote. I’d love to see just one profile in courage, willing to listen to their voters instead of just desperately holding on to their power. Now the City Council holds the final say. As elected officials subject to term limits themselves, and as elected officials actually elected from within their own districts, this seems like it would be simple. So where do we go from here? As a parent who is deeply involved in my children’s education, I want the best for all the children who are part of SDUSD. And this issue is simple. The City Council should vote to put two questions that our communities and Grand Jury overwhelmingly recommend in front of San Diego voters this November: 1) do they believe SDUSD Boardmembers should be subject to term limits — just like every other elected official in San Diego — and 2) should SDUSD board members be elected from within their own district — just like every other elected official in San Diego. Just like voters approved for San Diego City Council members 30 years ago. That’s it. If the City Council refuses to listen to the voices of the parents who participated in the town halls and online survey, not to mention the grand jury, then it’s clear what’s happening: they care more about power then they do about voters. When politicians care more about their own power than their own voters, then we as voters need to vote them out of power. Karin De Jauregui is a parent with children who attend Mira Mesa High School, Wangenheim Middle School, and Mason Elementary School. She is actively involved with Community Voices for Education, a coalition of parents, community members and stakeholders working to bring accountability, transparency, and representation to San Diego public education.